Are you a Professional athlete? High school athlete applying for a University Scholarship in the USA? An amateur athlete looking to monitor your improvements in training? 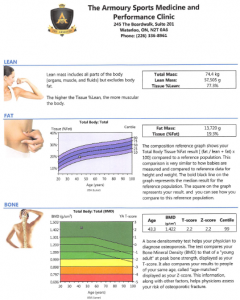 Look no further, The Armoury Sports Science program has the gold standard in body composition scanning. The Armoury uses a DEXA scan to accurately determine the amount of grams and % of lean muscle mass, body fat and bone density. It also measures resting metabolic rate. 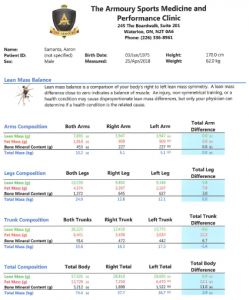 The scan can compare right to left limbs for training purposes or monitor injury recovery. Combined with a fitness assessment and nutritional assessment you can improve your visibility for US scouts, or tailor your training program with objective measures.